Running through midnight, January 2, you can listen to an ongoing stream of the Countdown playlist by going to the WQXR website and clicking on the “Q2 Music” button at the top of the page. While the WQXR website suggests that this playlist points to the future of the classical music canon, it’s impossible to know for sure–but therein lies the beauty of the discussion. The inherent genius of such a countdown is that it discards the cliche of the year-end retrospective in favor of a prospective view into the new year and beyond. Regardless of which compositions ascend to canonical status in the pantheon of classical music and which do not, the composers and works on this list represent not merely what “new compositions” were, but also what they can become. There is the European monolith, carved from the likes of Claude Debussy, Gustav Mahler, Maurice Ravel, Igor Stravinsky, Benjamin Britten, Dmitri Shostakovich, Olivier Messiaen, and Gyorgy Ligeti, whose works remain as fresh and relevant today as they were when they first premiered. There is the promise of the ascendant American composer, exemplified by George Gershwin, Charles Ives, Samuel Barber, Aaron Copland, and Leonard Bernstein, all of whom have become iconic players in the contemporary classical music narrative. And there is the unknowable destiny of such composers as Steve Reich, Philip Glass, Arvo Part, Terry Riley, Osvaldo Golijov, and John Adams, who have already influenced an entire generation of composers with music that is utterly vital to the dialogue surrounding current composition. If there is one aspect of the list that may be most telling about the future of the classical music canon, it is the glaring exemption of Arnold Schoenberg, whose ubiquitous presence in 20th century academia–at least according to Q2 listeners has not translated into enduring resonance. 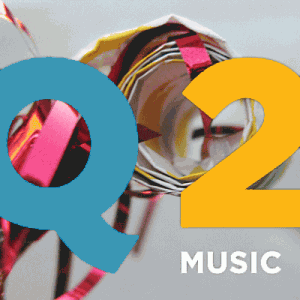 Q2 Music’s “Inaugural New-Music Countdown” is an important snapshot of classical music’s place in our collective consciousness, and I highly delving into it, whether the compositions are completely new discoveries for you or part of an ongoing exploration.